You may know you need to incorporate fasting into your Christian walk but you are like a swimmer standing at the edge of a pool. You stuck your toe in the water and it felt mighty cold. So you are just hovering there, trying to get the nerve to take the plunge. Well, let me assure you that you don’t need to swim the length of the pool ten times your first time in. You can ease your way along, and eventually the water will feel like a bath and you will look forward to taking a refreshing dip often. Maybe all you need are some practical suggestions. Let’s go through some fasting choices and see what will work best for you. First though, let’s define fasting. Fasting is withholding food on purpose for a period of time for spiritual reasons. Perhaps you have heard people talk about fasting from other things beside food. They may say they are fasting from a particular activity such as talking on the phone or going to the movies or playing a favorite sport. It may be both valid and desirable to withdraw from a particular thing for awhile, and God may lead you to do so, but that is not fasting in my mind. We will only be discussing fasting from food here. We have quite a bit of information from the Lord in this passage. Jesus tells us “when” you fast and not “if” you fast so he expects us to make fasting a regular part of our life. We also should not treat fasting as a way to display ourselves to other people or convince them how spiritual we are. We are to fast privately or secretly-not make a big deal out of it. This is between us and God. Additionally, God sees fasting as something to reward and reward is promised to those who fast with the right heart. When you fast, know why you are doing so; have something in mind. For instance, maybe you are struggling with a particular sin issue, so you concentrate the fast on that. Or, you have a petition before the Lord and you want to see it answered sooner rather than later. Or you desire to know the Lord on a deeper level, and you are seeking his face in fasting so you will break through to that place of intimacy. Maybe you sense that the demonic realm is launching an all out attack against you or your family members, and you want that broken. All of these are legitimate; there are always plenty of things to concentrate your fast on. Fasting and prayer go together. Talk over with the Lord your intention to fast and ask how, when and why you should do it. Spend time listening, and watch for natural cues that may come up after you pray which will indicate his answer to you. As you begin to sense a particular direction, go with it. If you don’t sense anything special from God, choose to fast in a way that makes the most sense to you and to your lifestyle. Be sure to pray during the fast also. Try to set aside the time you would have been eating to pray instead. The prayer itself becomes your meal. You are partaking of spiritual food rather than natural food. 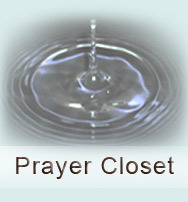 Plan on fasting becoming a regular spiritual exercise established permanently in your life. Don’t let it slip away until someday next year you find yourself wondering; “What ever happened to my fasting? How did I lose track of that?” Try to fast no less than once a month. It does not have to be a ritual that is set in stone and never varies, but it should not become so casual that it is pushed to the side and pretty soon is out the door entirely. One of the simplest starting places is to fast one or two meals in a day. A common fast that I like is eating nothing until 5:00 PM. Some people fast from sundown till sundown. They end up fasting three meals but over a two day period. Therefore they fast dinner on day one followed by breakfast and lunch on day two. Another common sense way to fast especially for people who travel a lot is to fast a set number of meals in a week. Five to seven is a good number. They look at the week ahead and pick which meals they are going to omit. If schedules change, they adjust, knowing that by the end of the week they will have fasted the number of meals they decided upon beforehand. The “Daniel Fast” is another choice of a partial fast lasting for at least 10 days. It is patterned after what Daniel of the Old Testament chose to do when taken into captivity in Babylon. He said to his captors; “Please test your servants for ten days: give us nothing but vegetables to eat and water to drink.” (See Daniel Chapter 1 for the complete story on why Daniel wanted to do this.) Rather than fast whole meals, fast from particular foods. It is common to do the Daniel fast for a month or more at a time. When you get very serious about fasting you may want to do a complete fast for one, two, or three days – or more. People who do this sometimes continue liquid such as juice or broth. Be careful about eliminating water which is vital to survival. If you try this and things get very tough somewhere along the line, dip a spoon in some honey and eat it in order to get through to the end. Jesus began his public ministry with a 40 day fast and many others have followed him. Since we are talking here to those of you who are just beginning fasting we won’t explore that possibility at this time but it is good for you to know about it. There now! Do you have enough choices on this fasting menu? Begin small if you must, but do begin. Fasting is a type of prayer which is very under utilized by Christians. We have such an indulgent lifestyle and we are afraid to feel deprived. But that is part of what will make this a very powerful tool in your hands. By resting your body from its constant cravings the more important spiritual things will have a chance to emerge. Order up some fasting soon, and you will diet on God’s presence and answered prayer.